Create completely custom Woocommerce product, archive and checkout pages using SiteOrigin Page Builder. 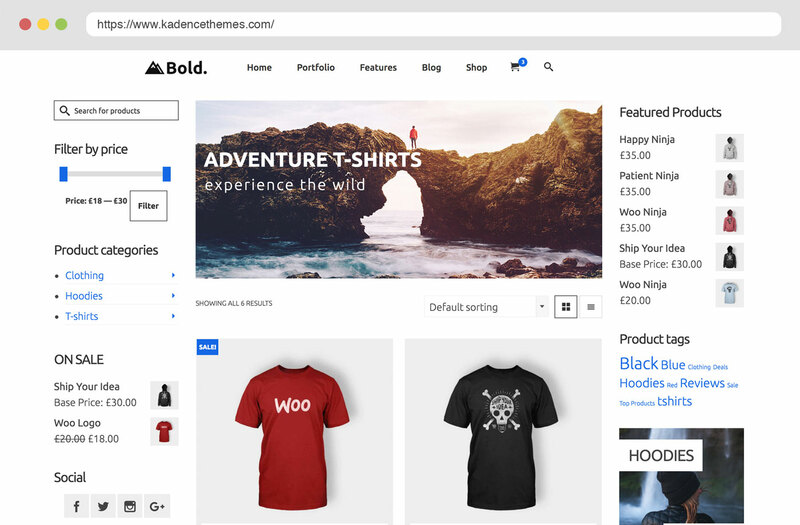 Kadence WooCommerce SiteOrigin Template Builder merges the power of SiteOrigin's Page Builder with Woocommerce. With this plugin, you can now control how each product page looks or design a template that you apply to all your products or some special ones. Not only can you control single product pages you can also build custom templates for your archives. 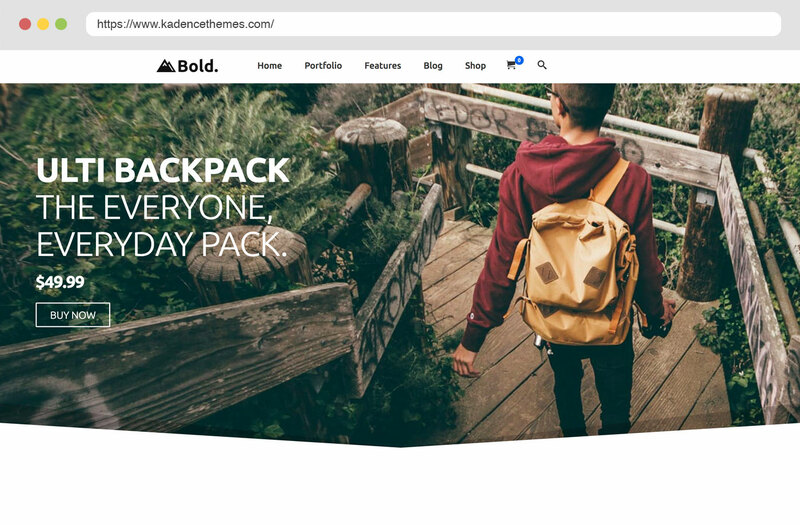 Transform your "shop" or product category pages with the ability to add custom content anywhere all with the control of page builder. Finally, with this plugin, you can also control the layout for your checkout page. Place the order review, billing, and shipping fields in the columns you want with any other content added in. Creating the perfect product page can help you capitalize on the most sales. 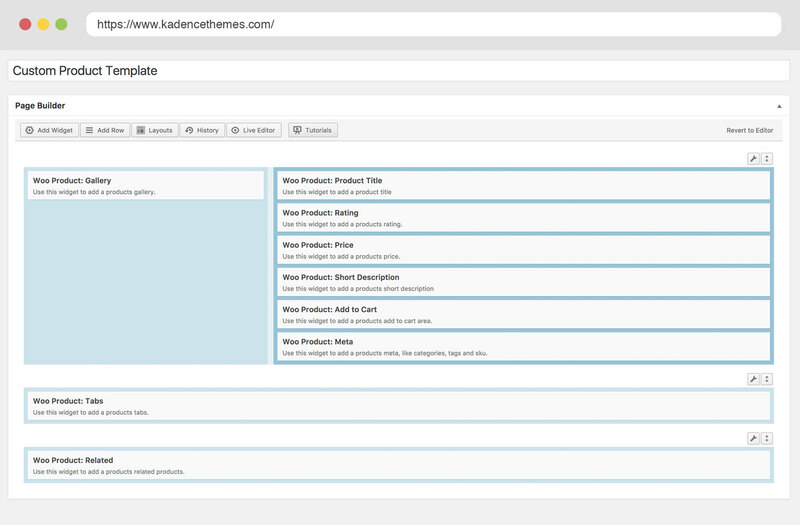 With Kadence WooCommerce SiteOrigin Builder you can completely customize the product page to look exaclty how you want. You can do this on an individual product level or create templates to assign to your products. Something really lacking in woocommerce is the ablity to customize archive pages globally. This is solved with Kadence WooCommerce SiteOrigin Template Builder. You can create templates to apply to all categories or tags or the shop page. So you can make archives have three columns (two sidebars) and define content above and below your archives. Take control over a single product category and design a template just for it. Place any special content you want into that template using Page Builder and apply it in the edit category page. Now your product categories can stand out like never before. See the link below where we created a category page with two sidebars and content above and below the list of products. Cusomize, arange and add any usuful information easily with pagebuilder and your checkout template. This plugin can be easily translated into any language. We code our plugins to wordpress standards to allow you to work with any theme not just ours.